If you think seeing Sultanahmet and the Hagia Sophia is enough to discover Istanbul, you are absolutely wrong. While every corner of the city of seven hills and chaotic thrills will give you a good idea as to what Turkish culture is like, it’s impossible to see hundreds of monuments that were left to the current residents from ancient civilisations of centuries ago, in one go. Even we locals were surprised to hear about a newly restored hammam in our neighbourhood and the Byzantine cistern that was discovered during the construction of a new building. One way to take in all the different monuments that Istanbul has to offer is to visit the miniature park Miniatürk by the Golden Horn in the old industrial neighbourhood of Sütlüce. Founded in 2003, the park offers 128 small-scale models of the best-known buildings in Istanbul and Turkey as well as from the regions around Turkey that were once under Ottoman rule. The area has been home to many civilisations through time — from Ancient Greece to Rome and the Byzantine Empire, from the Seljuks to the Ottomans. Hence the mind-blowing wealth of caravanserais, mosques, madrasas, bridges, railway stations, castles, defence walls, mausoleums, mosques, churches, synagogues, palaces, mansions, obelisks and statues in Asia Minor and the surrounding lands. 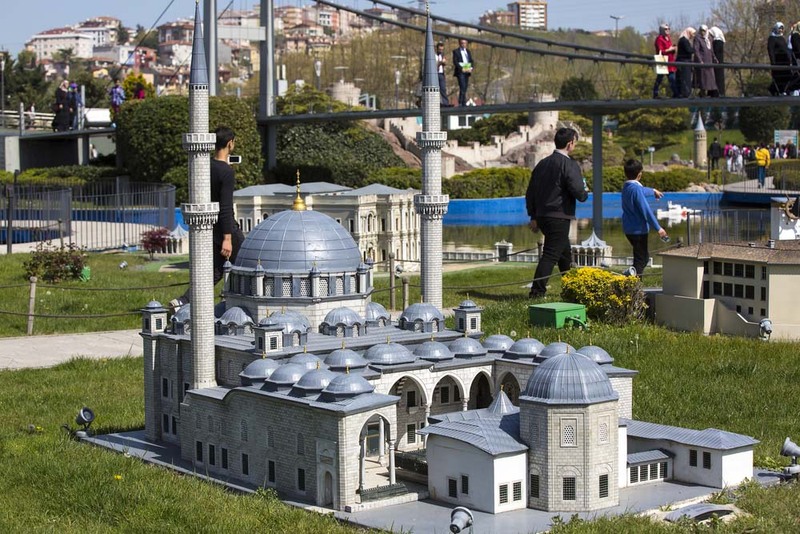 At Miniatürk, 1:25 scale models of important monuments, chosen by a team of experts, were produced and are displayed in an outdoor park of 40,000 square metres. Pamukkale’s ‘white cascades’ and Cappadocia’s ‘fairy chimneys’ are also among the unique natural formations that have miniature models at Miniatürk. Walking around the park with an audio guide, offered in nine different languages, is the best way for locals and tourists alike to understand the history behind each exhibit. 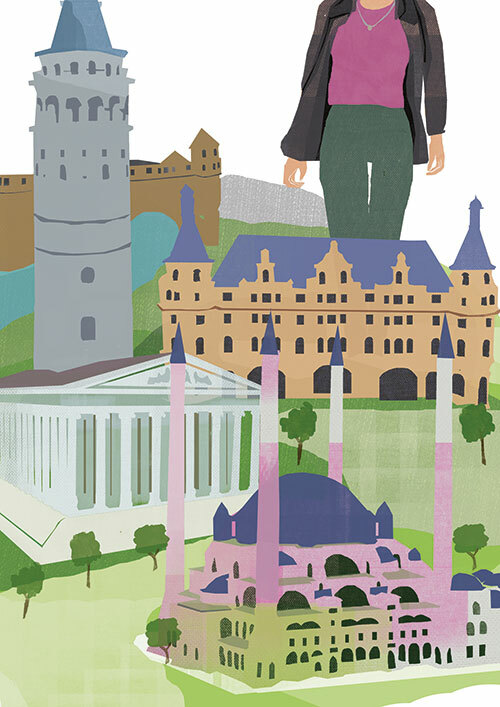 Apart from the miniature park, Miniatürk features a crystal museum, a Panoramic Victory Museum and a souvenir shop where you can find even-smaller models of the monuments on display, to take home. The crystal museum has laser-engraved 3D images of Istanbul’s iconic buildings such as the Galata Tower, the Haydarpa railway station, Topkapi Palace and St Antoine Church. Colourful LED lights illuminate these drawings to create an interesting optical illusion. The Victory Museum is dedicated to the Independence War fought by the Turkish people that led to the founding of the republic in 1923. Small 3D models integrated with audio depict scenes from the wars and also portray vignettes of daily life in Anatolia at that time in history. Hande Oynar is the editor of Art Unlimited, one of the leading contemporary art magazines in Istanbul.